Google will launch a new Policy manager in Google Ads that will give tips on common policy mistakes to help well-meaning advertisers and make it easier to create and launch compliant ads. 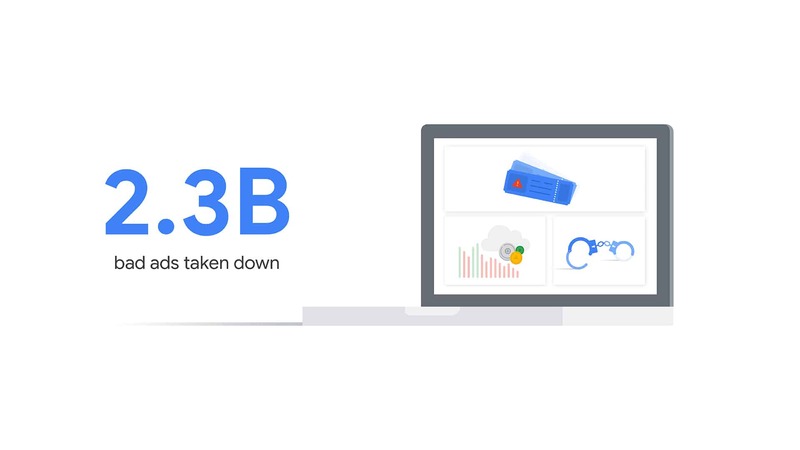 Google took down 2.3 billion bad ads in 2018 for violations of both new and existing policies, including nearly 207,000 ads for ticket resellers, over 531,000 ads for bail bonds and approximately 58.8 million phishing ads. Overall, that’s more than six million bad ads, every day. As Google continues to protect users from bad ads, they’re also working to make it easier for advertisers to ensure their creatives are policy compliant. Similar to the AdSense Policy Center, next month Google will launch a new Policy manager in Google Ads that will give tips on common policy mistakes to help well-meaning advertisers and make it easier to create and launch compliant ads. Last year, Google also made a concerted effort to go after the bad actors behind numerous bad ads, not just the ads themselves. Using improved machine learning technology, they were able to identify and terminate almost one million bad advertiser accounts, nearly double the amount terminated in 2017. When we take action at the account level, it helps to address the root cause of bad ads and better protect our users.Similarly last year, they launched a new policy for election ads in the U.S. ahead of the 2018 midterm elections. Google verified nearly 143,000 election ads in the U.S. and launched a new political ads transparency report that gives more information about who bought election ads. And in 2019, they’re launching similar tools ahead of elections in the EU and India.